As a 35 year resident of Fairbanks, I have never noticed an absence of females in any human-powered outdoor activity—especially in multi-sport events and in running marathons. In the most recent Equinox Marathon, there were 310 female finishers out of a total field of 647, so 48% of the runners passing through the Equinox finish chutes in front of Patty Building were women. 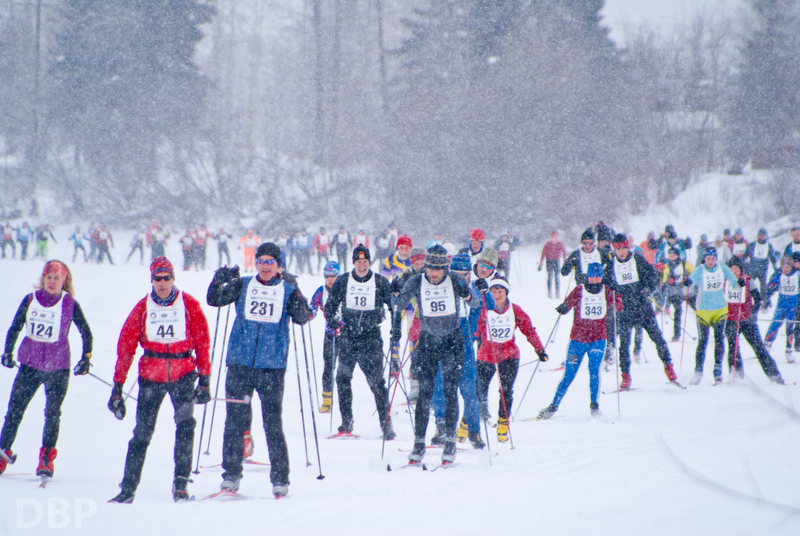 However, in the 2012 Sonot Kkaazoot, only 27 women skied through the 50 km finish near the Cushman Street Bridge of the total field of 123. In the entire 25 year history of the Sonot Kkaazoot, women have averaged 21% of the 50 km finishers. In both skiing and running, women have a speed disadvantage over men. However, last year I was the red lantern in the Sonot Kkaazoot among women, but finished ahead of 5 men. In many of the 25 years that I have skied the Sonot, I have been the overall red lantern, but Bad Bob Baker (or in later years, his son Daniel) would patiently wait for me to ski past the km markers on the Chena River before retrieving them. Maybe because the Equinox Marathon is only 42 km, it seems less intimidating. So this year, we have added a 40 km Sonot Kkaazoot event that eliminates the most technical loops at Birch Hill and between an hour to 90 minutes off the finish time for the non-elite skier doing the entire 50 km course. Because we combined our Sonot order with the order for Junior Nationals, we will be selling the headbands for less than $15. The headbands (color choices: navy, white, or lava flow—the closest we could find to Bad Bob orange) have a logo created for the Sonot Kkaazoot by Dee Dee Hammond (http://home.gci.net/~cwphoto/site/pages/artists/Artists/3-DEEDEE-Hammond/3-DEEDEE-Hammond.html).We will also selling technical fabric long-sleeved t-shirts with Dee Dee’s design, too. 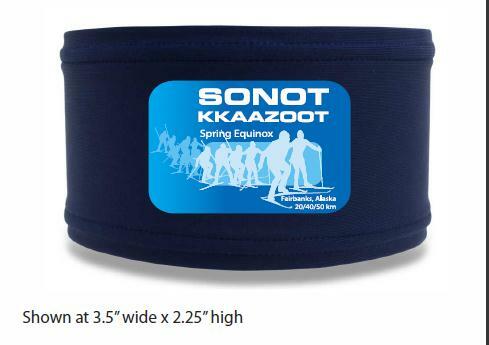 So, please ladies and girls, sign up for any of the 4 Sonot Kkaazoot events: 50 km classical, 50 km freestyle, 40 km freestyle, or 20 km freestyle, and you’ll be able to get a bargain-priced “hot headband” with the Sonot Kkaazoot logo. Remember that the early registration period ends this Thursday, 28 February at 5 p.m.